Nomic is a simple game with a simple rule: You can create your own rules. Nomic can be palyed face-to face or with the help of social media such as Facebok ar even Twitter. 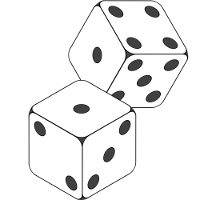 Initial rule of the game is that the players roll the dice and first player who achives the total of 100 points is a winner. But the most important rule of the game is that players can freerly change the rules and the gameplay. Firstly, players in clockwise order (or any other chosen order) take a turn. In that turn, they propose a change in rules that all the other players vote on. After discussion, a player roll the dice to check how many points he/she got this round. New rule, accepted by other players, comes into effect at the end of the round. Players train their decision-making skills. They learn how to cooperate and collaborate. Players train in public speaking, negotiation, debating. They learn the importance of discussion in a decision-making process. Players train in policy making process.